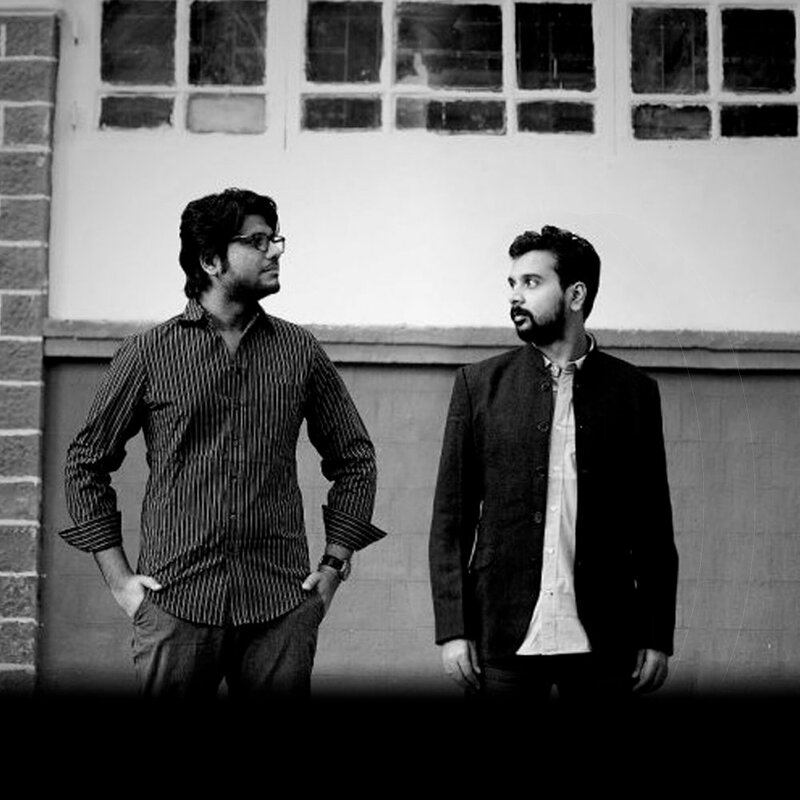 Namit Das + Anurag Shanker is a unique and flavourful collaboration that is a great instance of the progressive contemporary music scene in India that is still well rooted in its culture. The music and lyrics of their songs revive a forgotten era of India’s culture in a brand new light. Apart from being one of the more successful actors from the Bombay theatre circuit, Namit Das hails from a family of singers and composers. His voice really cut across through his role in the hugely popular musical ­ Stories In A song ­ and since then he has been addressing the composer and performer inside him more regularly via various outlets. Anurag Shanker is a composer and producer based in Bombay who has been working with several bands, artistes and on films to give them a unique sound and identity through his work. He has been involved with a wide range of projects ranging from indie films to rock bands to folk artistes. Their collaboration has spawned a new sound that features handpicked elements of Indian folk, Contemporary poetry, Indian classical composition, Jazz, Blues and more. This sound that celebrates the glory of Indian music and writing with an attitude of its own, has been captured on their first release ­ Din Gaye(2014) that got decent acclaim for its unique impact on listeners. They are currently working on their full length that goes into production later this year. While on stage, they are joined by Wilson Kenneth on Bass and Vaibhav Wavikar on Drums and Percussion to create a minimalistic, yet intense live soundscape. Their performances at the Nh7 Weekender 2014 and Repertwahr Festival 2016 were very well received by new audiences.